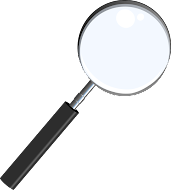 Carnegie: Magic Detective: My First Experience With Blackstone Jr.
My First Experience With Blackstone Jr. 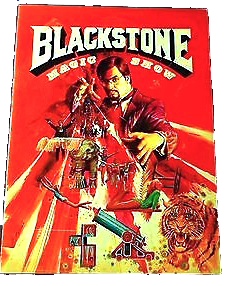 The first professional magician I ever saw was Harry Blackstone Jr.. I remember it as if it was yesterday. 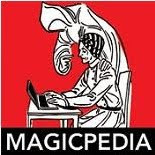 I had just come back from a trip to Al's Magic Shop in Washington D.C.. and I had purchased an issue of Genii Magazine. While looking through this magazine, the first one I ever bought by the way, I saw an add promoting the Blackstone touring show. I looked over the list of cities the show would be appearing in and lo and behold they would be in Washington D.C. in the not too distant future. Blackstone! What a life changing moment that was. Here was a real magician with a commanding presence on stage. He walked out with his birdcage and well, you know the rest. What an incredible show that was. So many great moments, like the Dancing Hank, The Floating Lightbulb, the Buzz Saw, The Circus act with the Girl from Cannon into Nest of Boxes. I was mesmerized by the whole show. I never expected that years into the future I would own items from that very show. I purchased a number of costumes used in that show. I also bought one of the illusions they toured with, though it was not in the show I saw that first time. Fast forward a number of years and I'm back at the Warner Theatre, this time to see Masters of Illusion, a touring show produced by Gay Blackstone, Harry's wife. 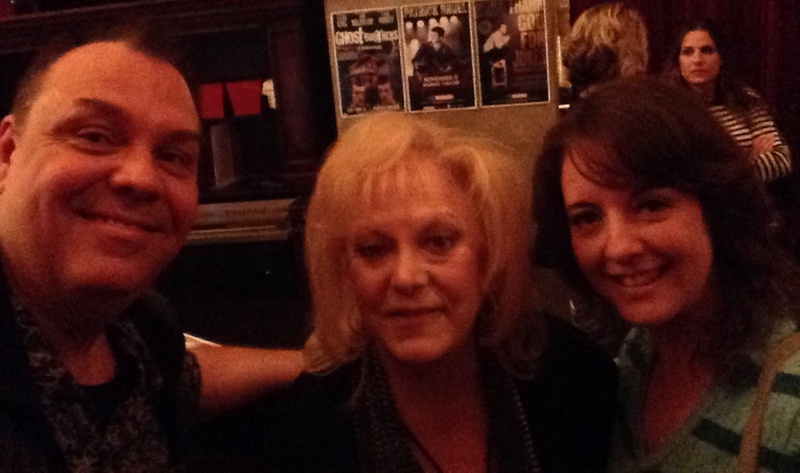 What a thrill it was to meet Mrs. Blackstone after the show. I had actually met Gay, once before at the Magic Castle, but here we had an opportunity to speak with her. It was as if life was coming full circle. Actually, full circle would be Being IN The Masters of Illusion Show produced by Gay. (and we're working on that, trust me). Carnegie, Gay Blackstone, and my assistant Denise. I always thought that Harry Jr. would go on to be a huge name not just in magic but in show business. Clearly, he was a big name in magic, but I'm not sure he got the notoriety he deserved in the overall world of show business. Magician's rarely do get that kind of fame. But Harry really truly did deserve it. He was the quintessential theatrical magician. He was the whole package, he had the look, he had the skill, the talent, the presence, and he had the likability factor like few before or since. Great to hear your memories, Dean. I've listened to that interview at least a few times and can't get enough of things like that. I have an unpublished audio clip I think you'll enjoy. I'll email you soon. Wow that would be great! If you like, I'd be happy to put it up and feature you as a guest blogger. Just let me know.